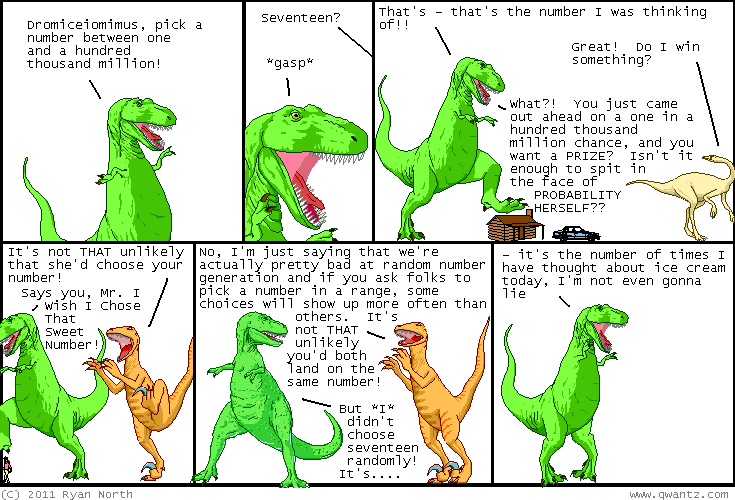 Dinosaur Comics - July 4th, 2011 - awesome fun times! –This is not good news for Team T-Rex! July 4th, 2011: My brother's wedding was great! There was one tense moment when the caterer forgot that today was the day he was serving food, but he managed to pull it off and it was actually kind of amazing. So now there are no more single North boys! Sorry, ladies who fetishize a particular last name!